6/21/09 UPDATE: Seasons Clubhouse had a grand opening on 6/20/09. To see it, here is a map. I hope the groundbreaking ceremonies did happen, but even if they did, it doesn't mean that the building will be finished and usable in 6 months (January, 2008). I hope that it does happen, as the people who bought into that development early on were promised these "Amenities and Activities", and they are still waiting for them. This Levitt news release of 1/23/06 says: "Levitt Corporation Expands Homebuilding Into South Carolina; Subsidiary Levitt and Sons Opens its First Active-Adult Community in South Carolina, 'Seasons' at Prince Creek West." So, it now is almost a year and a half later and still no Clubhouse, even though this photo of a street full of model homes (courtesy of "LivingChoices.com") shows a very similar street to where the Levitt "Prince Creek West" buyers are now living. The image of the proposed Seasons at Prince Creek West Clubhouse in this blog post came from the official 1/23/06 "Levitt Corporation News Release" (the images appear to change from time to time, so the Clubhouse image may not show when you look). The Clubhouse image sure looks nice, though, and I'd bet that the people who buy into this development will enjoy it. I'd also bet that the Levitt Realtors that sell the properties really want to see the Clubhouse completed, too. Corporation (NYSE: BFF) ("BFC" or "the Company"), announced today that it sold 10,000,000 shares of its Class A Common Stock at a price of $3.40 per share for settlement on July 17, 2007. The shares sold by the Company are expected to raise net proceeds of approximately $32 million after underwriting discounts and commissions." It goes on to say: "The Company intends to use the proceeds of the offering to support Levitt Corporation either as a result of the proposed merger with Levitt or, if the merger is not consummated, in connection with Levitt's previously-announced intention to pursue a rights offering and for general corporate purposes." 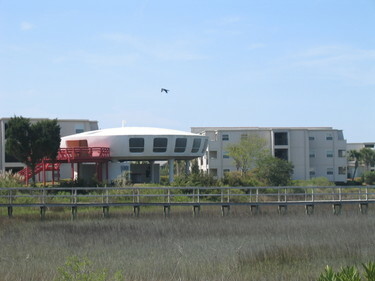 Is it the Levitt and Sons, "Seasons at Prince Creek West" Clubhouse, or is it a "Flying Saucer"? It is neither, as it is a building of some sort near the Atlantic Ocean in that general area of S.C.. When I was there the last week in March, 2007, and the third week of April, 2007 there didn't seem to be much progress going on with the start of the 27,000 Sq. ft. Clubhouse Center that anyone should be able to see from the entrance way into Seasons. I was just there again at the beginning of June, and there is no progress that I could see from outside the guarded entry way. The Clubhouse, when eventually built, should be able to be seen from TPC Blvd. which runs right in front of the front entrance of Levitt's "Seasons at Prince Creek West", and very close to the future location of the Clubhouse. When will that Clubhouse facility investment be made by Levitt & Sons LLC? See 7/13/07: "Levitt Corporation's Seasons at Prince Creek West Clubhouse Plans"
My first post on Levitt and Sons, LLC was: "Levitt and Sons Marketing Problems"
On 4/13/07 (over 30 days ago) Mr. Bob Daurity (Division President Levitt & Sons, LLC) sent my wife and I a letter returning our $5,000 deposit check, and said: "Also included are copies of your travel expenses for our Fly & Buy program, totaling $511.18. The check for the above listed amount will be sent from our corporate office in approximately thirty days. If you have not received this check by May 15, 2007, please call 843-357-6627." Details of why our Real Estate (Lot #201/401 Grand Cypress Way, Murrells Inlet, SC) check was returned are in my last blog post entitled "Levitt and Sons Marketing Problems". So, this morning I called the phone number given me and left a message as instructed to do. The message was not a complaint, yet, as the situation is not really a problem, yet. But, I can't help wondering if "The check is in the mail" syndrome won't start happening. The reason is this Sun-Sentinel.com 5/11/07 article entitled "South Florida housing firms offer gloomy forecasts for rest of year". It says: "Both TOUSA Inc. of Hollywood and Levitt Corp. of Fort Lauderdale offered gloomy short-term forecasts and wouldn't predict when conditions might improve." Can Levitt & Sons, LLC word stand the "test of time"? Only time will tell, but here is an indication of what could happen. 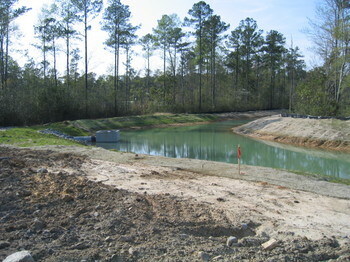 This photo is of the back corner of Lot #201 at Levitt and Sons "Seasons" development at Prince Creek West in Murrells Inlet, SC. It was the only lot that my wife and I were interested in of all the lots that we walked on in late March, 2007. We were told that a Mrs. Volk had put a total deposit of approximately $40,000 down on that lot and future house back in early 2006, but now she had hired an attorney to get all of that deposit back, and the lot could be ours, as it was "just a formality" as to when it would be "officially" available for us to buy. We were later told that Mrs. Volk, and her attorney, had reached a compromise agreement as to how much of her deposit would be kept by Levitt and Sons for defaulting on her agreement to purchase. So, based on that knowledge my wife and I gave $5000 for a deposit receipt on Lot #201 (which had NO CONTINGENCY in Levitt's favor written on it), came back to Texas, and contracted to have our kitchen remodeled for about $15,000 in order to prepare our house for sale. But, within 5 days of getting a "reassurance" e-mail from Mr. Bob Daurity (head of that sales region) saying: "The lot has still not been released back to Levitt, but that paperwork should be here next week. 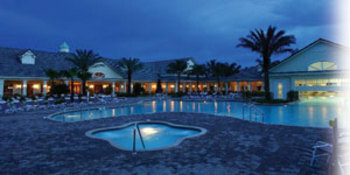 ", we were called by his sales agent telling us that Mrs. Volk had changed her mind, and we could not buy Lot #201. Levitt and Sons was marketing this development online with mentions in articles like this that said: "Levitt and Sons announces "March Mayhem," a grand opening event 11 a.m.-3 p.m. March 24, to introduce their new active adult community, Seasons, at Prince Creek West." They were offering the following incentives to buy: 1. $10,000 in free designer options, 2. $1,500 in reimbursed travel expenses, 3. $2,500 in closing costs (if you used their lender), and 4. $500 in reimbursed travel expenses in a "Your Exclusive Invitation" hand out that said: "And even if you decide not to purchase a home, we'll still reimburse $500 of your travel expenses if you discuss ownership opportunities with a qualified sales associate." This post will not go into detail about our resulting complaint, suggestion for a concession on an alternative lot for my wife and I to buy, and how the entire real property negotiations were handled by Levitt and us. But, it will tell you how we feel about the entire incident now, and give you some background new home builder "marketing timing" regarding the current "buyer's market" for new homes. (Click on "Continue reading..." below, and also see my update post at "Can Levitt and Sons Builder's Word Be Trusted?"). Now see: Levitt's "Seasons at Prince Creek West" Still Has No Clubhouse. As I said in "2007 Lexus LS 460's Retro 1990 Trunk Lid Mechanism", I turned down my Lexus dealer's offer in 2002/3 to replace my 2001 trunk struts with the exact same ones, as I did not see any long term benefit. Mine were just starting to not hold up the trunk lid very well, but my wife and I had not got hit in the head by that time. Around the last week in January of this year, after my warranty was long gone, and many "trunk lid hits in the head", a dealer in San Diego said to call Lexus Customer Satisfaction (AKA = " Lexus Customer Assistance Center"). I did, and got this response on 2/7/07: "Consumer opinion and perception also play an active role in our ongoing efforts to lead the automobile industry in quality, innovation, styling, and reliability. We apologize that you are displeased with the functionality of the trunk on your 2001 LS 430. We do not have any options available to change the design or functions of the trunk on your vehicle." Lexus Corporate is basically stating here that Toyota (parent company) had not improved the trunk struts on my 2001 LS 430. However, based on the fact that Lexus had changed the part number (with no date of change, or reason why, given the dealers), and on what "cneuman" said on 2/23/07 in Edmunds.com "Lexus LS 400/LS 430" chat room, I then had some hope that the replacement struts would, indeed, show "a definite marked improvement" (quoting "cneuman" who just had his 2002 LS trunk struts replaced). But, here is how Lexus (Corporate) Customer Satisfaction handled my Los Angeles BBB, 2/23/07 complaint (Id # 98174320). The NHTSA has a "File a Complaint" web page that says: "Government engineers analyze the problem. If warranted, the manufacturer is asked to conduct a recall." They also have an "Office of Defects Investigation" web page that you can see Complaint ("ODI") # 10178801 from "JB". His/her LS 430 trunk struts "failed", and caused injury "IN THE AREA AROUND THE EYE AND THE UPPER CHEEK BONE." After reading that complaint, I filed Complaint ("ODI") # 10181946. While I haven't heard the results of the NHTSA's safety investigation yet, and I don't know exactly HOW the NHTSA does their investigation of possible safety defects, I wanted to say this. I hope the NHTSA gets the computerized service repair records of all the Lexus dealers (and larger Independents) in the U.S. to see how many 2001 to 2006 LS 430's have had their trunk struts replaced under warranty, out of warranty, and under extended warranties, and finds out how long the original OEM struts lasted. This is the "key" to me, since all struts wear out over time, but I believe that Lexus's trunk (and "hood", I now understand) struts could be made to last longer. They then could be less of a safety issue for Lexus mechanics and customers within as short a period of time, as these struts weaken! I say this because I have had Lexus service managers tell me that it is not uncommon for those trunk struts to be replaced within 4 years (Their names will remain confidential, as I don't have their permission for disclosure). But, I do have permission from my two Lexus Independent Service and Repair shops who are both owned or operated by former "Lexus Certified Master Mechanics" (once they leave Lexus they can't legally keep that title). Here is what Jim Pratt at PrattLexusCare.com and Craig Davenport at DavenportMotorCo.com recently both said: "I would not be surprised to see 2001 or 2002 LS 430 trunk struts in need of replacement before the 4 year or 50,000 mile warranty is up." They both could not remember (without researching first) at exactly what point in time after new car delivery, did these "replacement needs" happen, but I'll bet the computerized service records of the dealers and Independents could show that. Now for the latest developments in my "Lexus Broken Repair Promise"
I do enjoy bringing loyal, long term buyers together with ethical and value driven sellers, especially when that loyal buyer is me. While I believe that Lexus is, overall, an ethical and value driven seller, nobody (buyer or seller) is perfect. We can all make mistakes. But, the keys to rectifying or avoiding mistakes are effective engagement, and upfront and continued transparency. I hope I am continuing to do my "buyer" part by posting my constructive safety complaint and educational information in "2007 Lexus LS 460's Retro 1990 Trunk Lid Mechanism "
The "Cluetrain Manifesto" says "Whether explaining or complaining, joking or serious, the human voice is unmistakably genuine. It can't be faked. ", and then, "But learning to speak in a human voice is not some trick, nor will corporations convince us they are human with lip service about "listening to customers." They will only sound human when they empower real human beings to speak on their behalf." This is a recent online BBB response to my complaint that I got from some anonymous person at "Lexus National Headquarters", "Customer Satisfaction": "We apologize that the response the customer received was not what he hoped for." There, Lexus was explaining to me that there was never a change or improvement in the engineering of the replacement trunk strut part # ending in "31" from "30", besides saying that they originally (back in 2002/3, I assume) offered to replace my trunk struts with the exact same ones under warranty. They also said "Lexus is (STILL) willing to work with the customer to repair his vehicle, if desired." That was posted anonymously by someone at "Lexus National Headquarters" on 3/1/07 on the BBB website. I not only have not heard directly back from Lexus HQ's to my acceptance of their offer to do what I requested in my BBB complaint (no charge for struts due to "safety problem"), but my local dealer's Service Manager tells me he can't do the "no charge struts" (a $469.64 value), and he also can't find out who posted that BBB response from Lexus HQ! So, today makes 12 days that have gone by with me not knowing if Lexus's offer was legitimate or not! I have multiple goals in pursuing this. Even though I have the $469.64 to have the dealer put in a set of replacement struts, I believe some of the people who have this same trunk safety problem may not (See other's complaints in the "Comments" Section of my last blog post). Plus, I love the Lexus brand, and am loyal to it. I'm convinced that the original (and maybe replacement # "31") trunk struts are weakening too fast. To me, Lexus is too good a quality of automobile manufacturer to let this go on, and let the customer pay for the replacement struts, if their car is out of warranty. So, here is what I'm now suggesting. I love the Lexus LS brand and want to help it, by constructively presenting my complaint about what I, and others, consider to be a Lexus "trunk strut" engineering problem in the 2001 LS 430. In 2001, the completely redesigned Lexus LS 430 had this said about it in "'The Family Car' Web Magazine Road Test" for that model: "The trunk is 33% larger than the previous model (LS 400) due to the fact that the gas tank was moved from the back of the trunk to below the rear seat." Lexus also increased trunk space, as noted in "Lexus LS Generations", with: "4-link hinges (2 gas struts) are used on the trunk door (lid) to provide more cargo room." For 2007, the completely redesigned LS 460 actually has reduced trunk cargo space from the LS 430 models (2001 to 2006). The 2001 LS 430 brochure says: "Trunk Capacity = 20.2 cubic feet (w/o rear A/C) - 17.5 cubic feet (with rear A/C)". Then, the 2007 LS 460 brochure says: "18.0 cubic feet (509L) - 12.0 cubic feet (339L) (with Rear-Seat Upgrade Package or Executive-Class Seating Package)". Here are TRUNK PHOTOS (courtesy of "The Family Car" Web Magazine) of the LS 400 (trunk space and mechanism for 1990-1994), the LS 430 (for 2004, but same for 2001-2006), and the LS 460 (for 2007). Why would Lexus go back to the 1990 "retro,swing-arm" style hinge trunk lid mechanism which decreases trunk space capacity (after hitting "Continue Gallery" see "Struts in place of trunk hinges"), on top of an overall 2007 redesign that makes the trunk smaller to begin with? Here is my sincere opinion on this. We are coming up on the one year anniversary (3/06) of "The TIme Inc. Auto Renewal Settlement". An 11/1/06 article (no longer available online) said: "Time Inc. agreed to pay $4.5 million to cover investigative costs, divided by the 23 states, in addition to $4.3 million in estimated customer claims." It goes on to say: "The possibility of serious government attention and action regarding automatic renewal, or “continuous service” as it’s often more euphemistically expressed, was not unexpected by the industry." While that settlement was mostly (or all) about print subscriptions, I see no important differences in what the basic reasons are for the complaints that are now surfacing over Internet related auto-renewal abuses. With the recent announcements by anti-virus software companies saying they are going to "auto-renewal" subscriptions, it is almost like sellers want to "test the waters" all over again in order to get their renewal rates higher. I hope I made my point clear that I'm against all automatic renewals because they put the final responsibility on the buyer to notify the seller that he/she wants to cancel. Plus, it is the buyer who determines the value of what he is buying at the time of the renewal, and not the seller. I tried to bring that (and more) out in "Is an "Automatic Renewal" a Deceptive Marketing Tool ? ", "'Automatic Renewal' - Renewal Rates & Fool's Rate Go Up", "'Auto-Renewal' Complaints May Lead To FTC Rules ", and "A Solution For "Auto-Renewal" and New FTC's Negative Option Marketing Emphasis ". Now let's look at that article more. After posting "'Auto-Renewal' Complaints May Lead To FTC Rules", I read a 1/29/07 Direct Marketing News article entitled "FTC makes negative option marketing a priority". This is great news as it says: "Ms. Parnes (Lydia Parnes, FTC’s director of the Bureau of Consumer Protection) said there is risk with negative option marketing, such as when a marketer fails to do the following: disclose or adequately disclose the material terms of the offer; secure express informed consent to the offer; and/or provide adequate cancellation procedures." My solution centers on "secure express informed consent to the offer". This is key for "auto-renewal" of all online subscriptions, in my opinion. However, legal proof of "consent" should be obtained at each renewal date, rather than only once at the beginning of the offer. Therefore, I strongly suggest that multiple renewal notices be sent with an option to "cancel", and a "Return Receipt" e-mail function be used in all online renewal notices! Since there are usually three options open to responding to these type of e-mails, the FTC should make it mandatory that the seller receive back a written confirmation of the buyer's response through a "now" or "later" return receipt option from the buyer. If the buyer chooses "never", then the seller can't assume "informed consent". The FTC is now giving proper attention to "Negative Option Marketing", as the article goes on to say here.